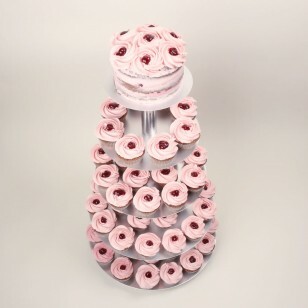 Before we start describing this set, all we want to do is just sit in silence and admire it. 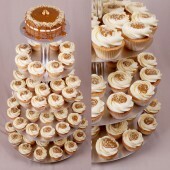 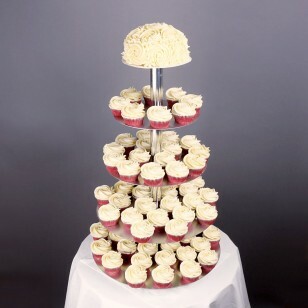 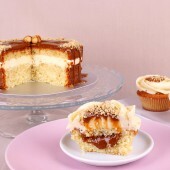 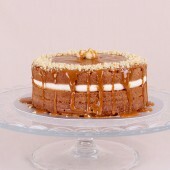 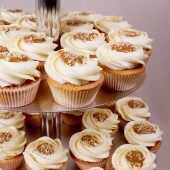 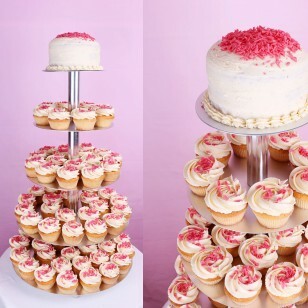 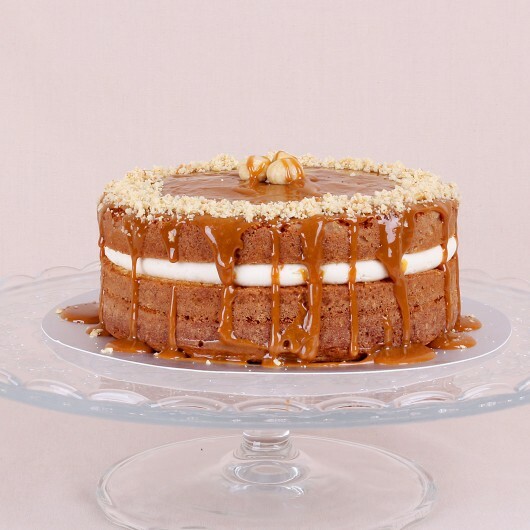 Our Dulce de Leche Wedding Cupcake set looks breath-taking and it’s just as delicious. 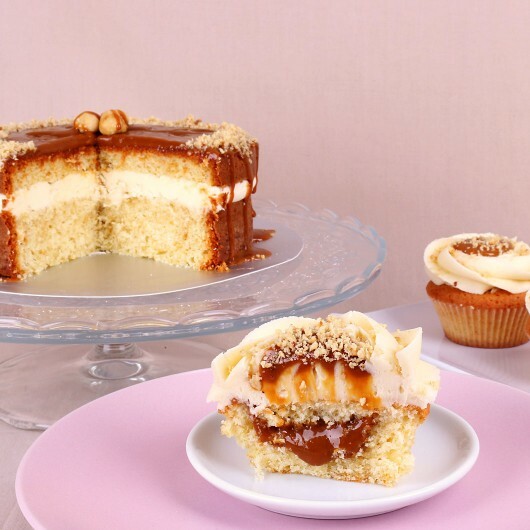 Every cupcake is a miracle made of vanilla base, filled with milky caramel, decorated with cheese cream frosting, a spoonful of Dulce de Leche, and sprinkled with roasted chopped hazelnuts on top.The cake for the newlyweds has milky caramel poured all over it and a decoration of roasted hazelnuts. 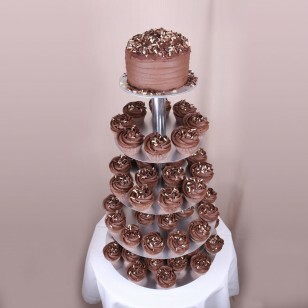 And that’s just the beginning of their sweet life together.